Could Quick Access to Your Metrics Make Your ASC More Profitable? This axiom has been at the heart of business, marketing, and risk management for decades. But in today’s world, information alone isn’t as powerful as it once was. Now, the true power of information can only be realized if it is obtained in a timely manner. Perhaps the old axiom needs to be revised to say that timely information is power. This is especially true when it comes to ASC billing. Quick access to metrics gives administrators time – time to gain insights, close gaps, and recover revenue. Currently, administrators spend one to two weeks gathering the metrics and need even more time to analyze the data and determine what, if any, action can be taken to make the practice more profitable. 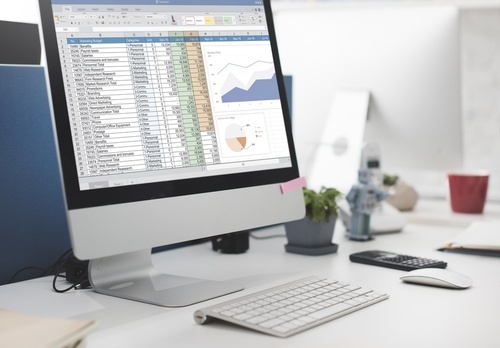 With access to ASC billing data at their fingertips, administrators could make timely strategic and tactical changes – changes that would allow them to improve claim speed, create more efficient workflows, and get paid more quickly. Not every metric related to ASC billing has equal value. Focusing on the right metrics and measuring them consistently will put your facility on the path to improved cash flow and financial health. Start with the following and gain clear insights on how to address bottlenecks, close gaps, and ultimately get paid faster. Many factors affect claim submission speed. If it takes your center longer than 5 days to submit claims, start digging into your process to identify bottlenecks and establish the best practices to eliminate them. Have you established a timeframe for dictation turnaround? Do coding issues consistently hold up the process? Are you often waiting on information from other departments? Are your charges going out daily? The faster your claims are submitted, the faster you can collect on them. Once Accounts Receivable becomes 90 days or older, it is deemed as aging A/R. Large percentages of expected cash residing in the aging bucket is a clear indication that there are areas of opportunity. Workflow automation can have a major effect on aging A/R and lead to faster realization of revenue while reducing potential write-offs. Work to identify unpaid claims and determine the why behind them. Were the claims clean? How often are they being worked? Aim to keep aging A/R at less than 17% of all A/R. As a claim ages, it become more difficult to track and ultimately collect payment on. As a general rule of thumb, claims should be worked and noted every 30 days. The notes entered into the billing system need to tell a complete story so that anyone working the account understands where it is in the revenue cycle and why it has not been paid. Workflow automation enables centers to more efficiently work aging accounts and resolve issues in a timely manner. Payment turnaround time is critical to a center's monthly cash flow. Are there certain cases and payors historically paying late? Knowing the average number of days it takes to collect payment across all of your case types and payors will enable you to take steps to shorten the payment cycle. Get timely access to metrics above and you’ll have the information you need to make your ASC more profitable.